Cube is an open-source first-person shooter game originally developed by Wouter van Oortmerssen and released in 2001. The game engine was developed by Oortmerssen as a landscape-style game engine and has received praise from critics and fellow developers for its implementation and technology. It was even named as the Best Free 3D Action Game in 2003 by The Linux Game Tome. The game is available on a number of operating systems including Microsoft Windows, Linux, Mac OS X and many open source/free operating systems. Cube was also released for iOS and is available for the iPhone and iPad in the iTunes app store. In addition to the single and multiplayer portions of the game, Cube also includes a level editor allowing players to create their own maps. The single-player mode has been compared to Doom and Quake in terms of gameplay with two game modes. One in which items and monsters do not re-spawn after being killed and a deathmatch type mode where players must kill off a set number of monsters. There is a total of 37 different maps available for the Cube Single player mode. The Cube multiplayer game includes twelve different game modes including Free for All, Team Play, Arena, Co-op to name a few. There is a total of 65 multiplayer maps available for players to take part in. Multiplayer games are hosted via Enet thick client/thin server model. The last update for Cube was released in 2005. Since it's initial release there have been a number of mods released as well as a sequel, Cube 2: Sauerbraten released in 2004. The most popular Cube Mod released to date is Assault Cube. Assault Cube is a free multiplayer first-person shooter that contains twelve multiplayer game modes and 26 different maps. Game modes include traditional multiplayer modes such as DeathMatch and Capture the Flag as well as others such as Survivor, Hunt the Flag, Piston Frenzy and more. This game is still actively played with the last update coming in 2013. The overall size of the game is quite small and is available for Microsoft Windows, Mac OS X and Linux operating systems. 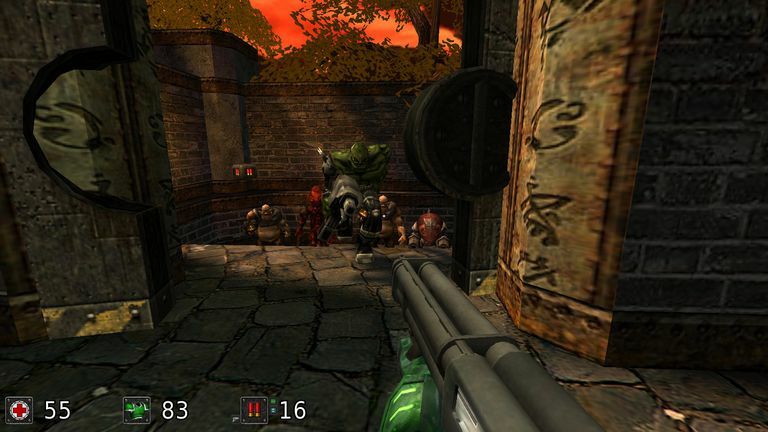 Cube 2: Sauerbraten was released in 2004 as a re-design of the original Cube. It keeps many of the gameplay features but features updated graphics and game engine. Cube, Assault Cube, and Cube 2 are all freely available for download and play on a number of different operating systems. The download links provided below include the official game site as well as a number of third-party sites that host the game for free download.